Brand Strategy, Digital & Marketing. Rebranding, Web Design, Marketing, SEO & PPC & WordPress. Calmababy is based in Peterborough which has a unique centre that was built to provide a welcoming, relaxed place for families to bond and enjoy time together. They do this through workshops and classes such as baby massage, swimming, newborn flotation, postnatal yoga, childbirth preparation, and baby yoga, the list is fairly comprehensive. By offering a supportive, non-judgemental, and relaxed space for parents to gather, socialise and spend time with their children, the centre is truly unique – the only centre of its kind in the whole of the UK and Europe. Brave have supported Calmababy through what has been a significant growth period, playing a pivotal role in helping to establish their brand reputation, supporting them every step of the way. Being based in Peterborough and having real knowledge of the area definitely helped the team bond with the brand, meaning we have been able to offer a fully integrated approach with a broad knowledge approach. Calmababy were looking for a strategic marketing partner to help deliver a best-in-class, multi-channel brand experience for its existing and potential customers. That partner needed to help grow the brand as it grew into new areas, putting them in a pioneering position within this ever growing market. Statistics showed that Peterborough has the highest birth rate in the country. Mothers in the city are each giving birth to an average of 2.34 babies, that’s more than women everywhere else, according to figures released by the Office for National Statistics. This in itself proved that the target audience was there and all we needed to do was create the desire to join the centre. 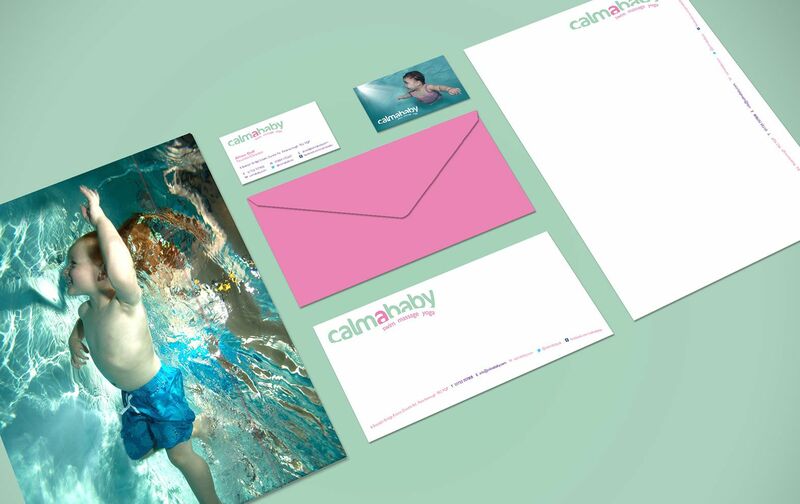 The challenge was to create a visual and written tone that fully supported the customer experience; we had to craft all touch points, enabling Calmababy to tell it’s brand story – one that makes them so unique and identifiable to their audience. The design process was applied across a wide range of environments and channels. 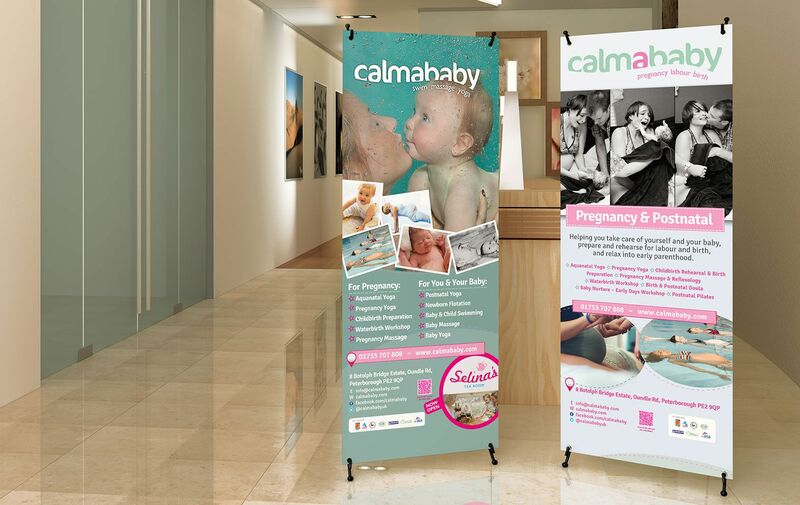 From developing the signage, all print collateral, advertisements to a comprehensive website, the Calmababy brand communicates an inspiring story of honesty and authenticity about its customers and employees. Calmababy is a very special place to work, with a distinctive culture, which lies at the heart of its passion. Brave learned this early on, seamlessly theming this feeling through every piece of design collateral worked on. In order to understand the brand, we needed to fully immerse ourselves in it. The first few weeks of the project saw us visit the centre and listen to the incredible stories of the parents themselves. However, this was only half of the story, so we also questioned and listened to the team who live and breathe the Calmababy brand on a daily basis. These experiences instilled a deep knowledge and respect for Calmababy within Brave’s project team, meaning that we could act as if we were an extension of the company’s strategic team. 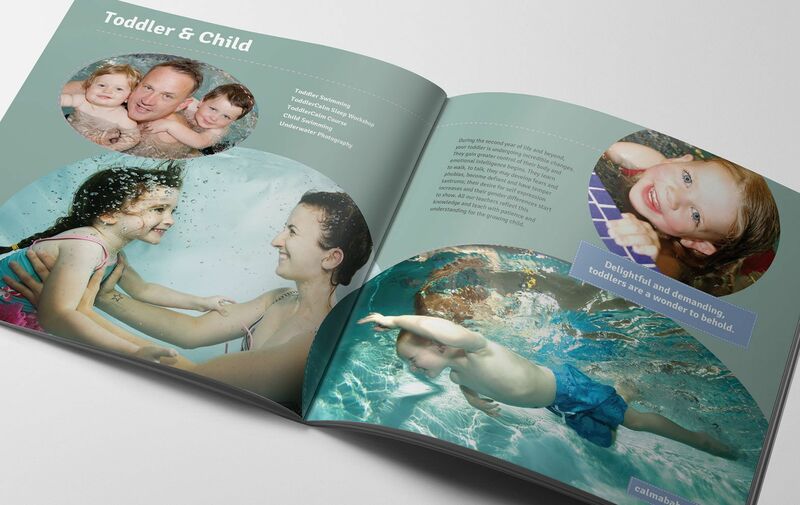 Print is certainly not dead and for markets such as Calmababy’s, a tactile tangible product such as a brochure is a necessity. From a parenting point of view, we believed that the bond and tactile element of a parent and baby relationship is one of the foundational elements. We grasped this concept, transposing it to the tactile feeling of a printed brochure on a specially selected stock paper finish, which gives one a special feeling of interaction when picked up. Brave were literally given a free reign to rework every single print touch point such as brochures, leaflets, advertisements, posters, cards, flyers, exhibition display stands, stationery etc. Later on through our journey, we were also asked to help brainstorm a new offering to the centre, which was Selina’s Team Room – designed with a family focus. A relaxed, child-friendly and welcoming Tea Room which is open to all. Brave again helped develop a new brand and provided supporting services such as print collateral, signage and marketing communication. The main focus for Calmababy’s website was encouraging people to buy into the brand ethos and passion – we had to communicate this from the instant they landed on the site. We continued to refine the strategy and improve performance with the customer journey. The client’s return on investment is apparent as the enquiries come in on a regular basis. With this project, it was important to build a lead generation tool from the off, be it calls coming into reception for new bookings or via contact touch points throughout the website. The entire website is built on a fully customised bespoke Wordpress platform – as our developers put it, “WordPress on steroids”. The entire platform was customised for full client content management, whilst maintaining a set template standard to ensure brand guidelines were less likely to be broken or drift off track. Something which we believe is worth the extra legwork from the outset. Brave were also asked to advise, consult and design the overall visual scheme for a new Calmababy app they were looking to launch. The idea was to improve the customer experience even further, making the booking and amending of classes as easy as possible. They acknowledge that as parents themselves, time is very limited, so any streamlined processes would be welcomed by parents. The way in which the brand has been developed and rolled out has supported the passions of the centre – we’ve worked hard to produce something truly unique. The business goes from strength to strength continuously which paves the future for Calmababy. Above all else, we are so proud of being part of Calmababy’s journey so far and look forward to working with them on their next exciting phase of what we think is a wonderful and meaningful brand.